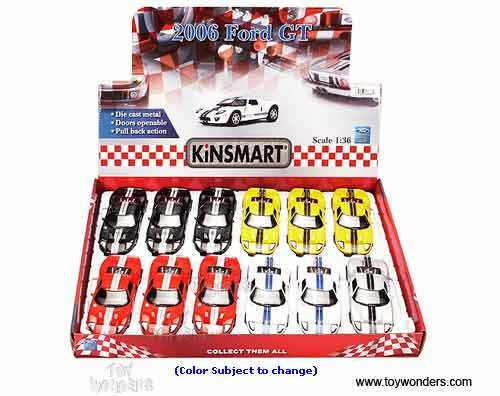 5092D Kinsmart - 2006 Ford GT Hard Top. 1:36 scale diecast collectible model car. This Ford is 5"Lx 2"Wx 1.25"H die cast metal car. It features pull back action and openable doors. Manufactured by Kinsmart. 12 pcs per display box in assorted colors. 72 pcs per inner box. 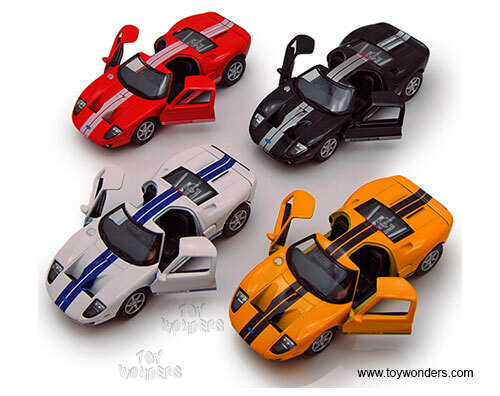 To see more Ford collector die-cast models (click here).